Pat's Fantasy Hotlist: L. E. Modesitt, jr. contest winners! 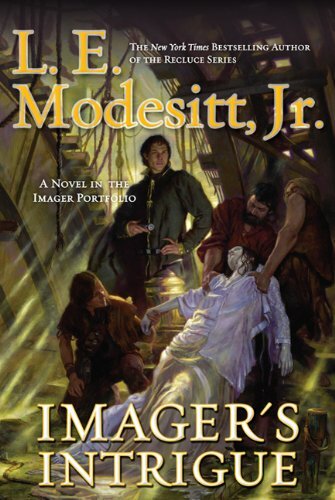 Thanks to the generosity of the folks at Tor Books, each of our winners will receive a copy of L. E. Modesitt, jr.'s Imager's Intrigue! For more info about this title: Canada, USA, Europe, AbeBooks. This is a great new series, so give Imager (Canada, USA, Europe, AbeBooks) and Imager's Challenge (Canada, USA, Europe, AbeBooks) a chance! I'm sure you won't be disappointed!